Treatment of osteoarthritis of fingers, shoulder joints & weight bearing joints of the body. As a dietary supplement to prevent Osteoarthritis. 1 - 2 tablets, three times daily. Doses can taper after 60 days as per requirement. 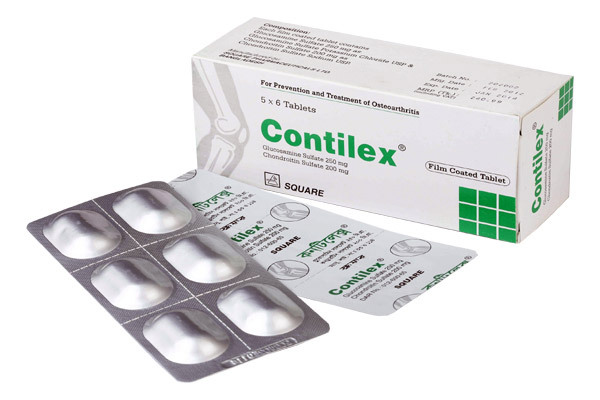 Contilex® Tablet: Box containing 5x6 tablets in Alu-Alu blister pack.